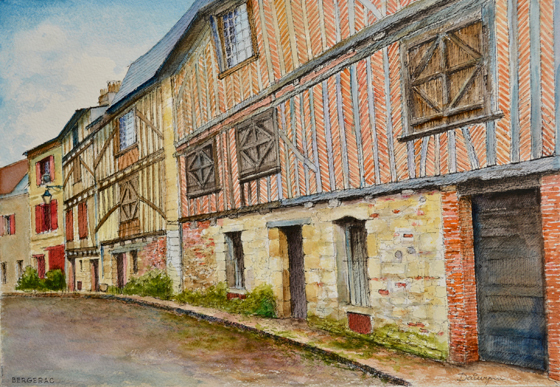 Rue du Port which climbs steeply from the Dordogne River to the Jardins Panoramiques in Limeuil, France. 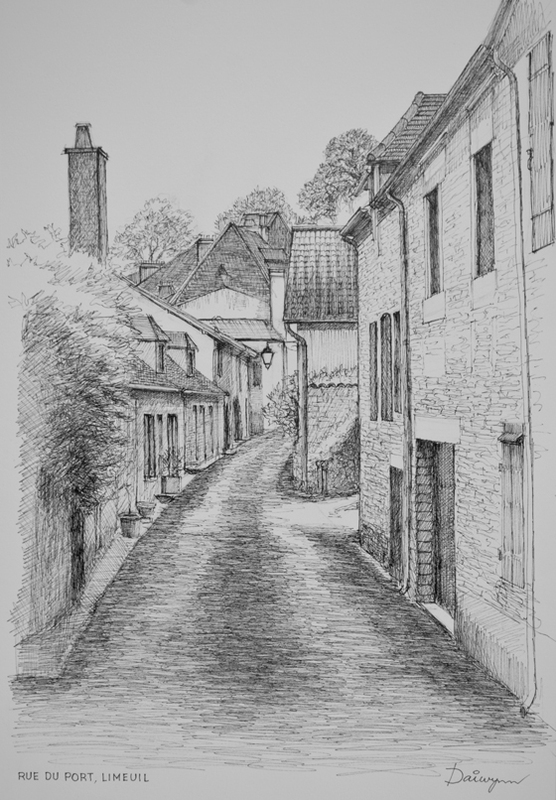 Freehand pen and ink sketch by Dai Wynn of the narrow street which he and his wife trudged up to reach the beautiful hilltop gardens. 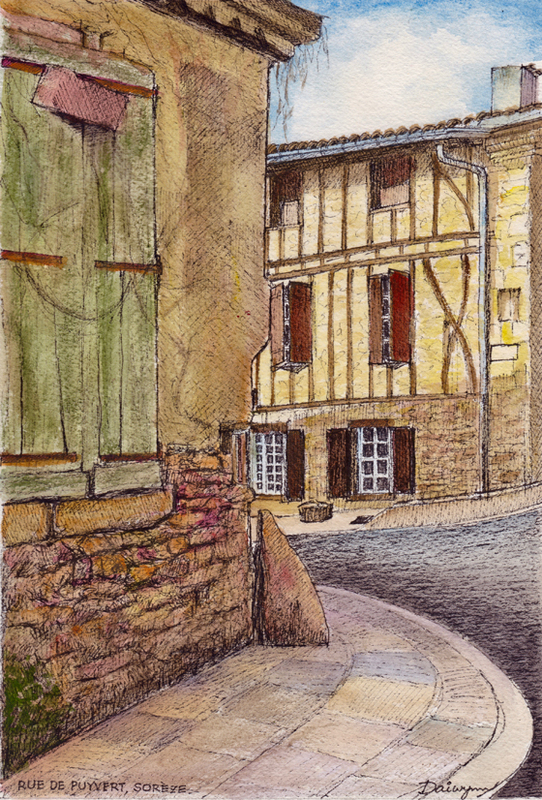 There are fabulous views of the confluence of the Vézère and Dordogne rivers and surrounding farmlands. Ink on Arches paper. A3 size. 42 cm high by 29.5 cm wide by 0.1 cm deep approximately. 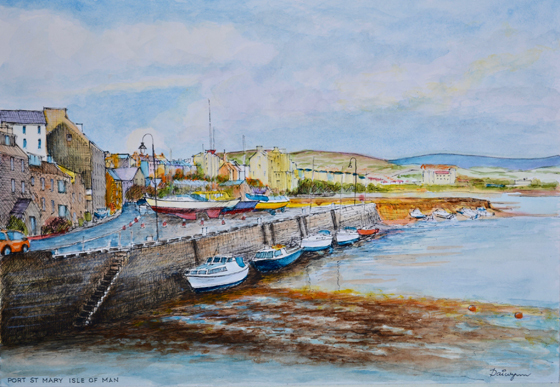 Watercolour painting based on a pen and ink freehand sketch by Dai Wynn of the harbour wall of Port St Mary on the Isle of Man in the Irish Sea between Ireland and England. Ink on 300gsm smooth surface Arches french cotton paper. 29.5 cm high by 42 cm wide by 0.1 cm deep approximately. A3 standard size. 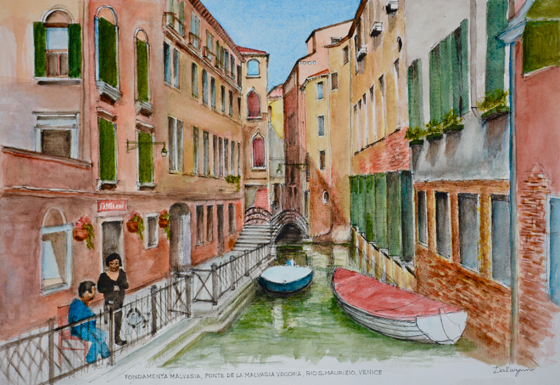 An ink and watercolour painting based on a freehand sketch by Dai Wynn on 300gsm smooth surface Arches paper. 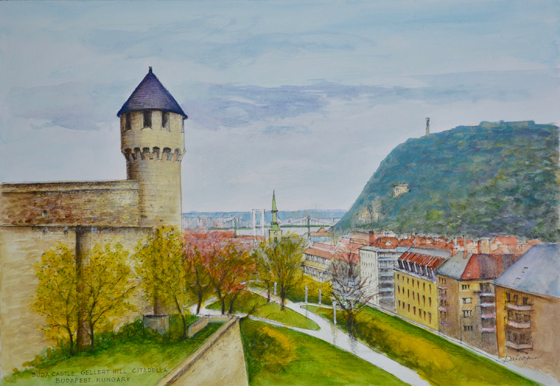 The painting depicts a tower of Buda Castle in the foreground, bridges over the Danube River at centre, and the Citadella on Gellert Hill at right. This is the Buda part of Budapest, Hungary. 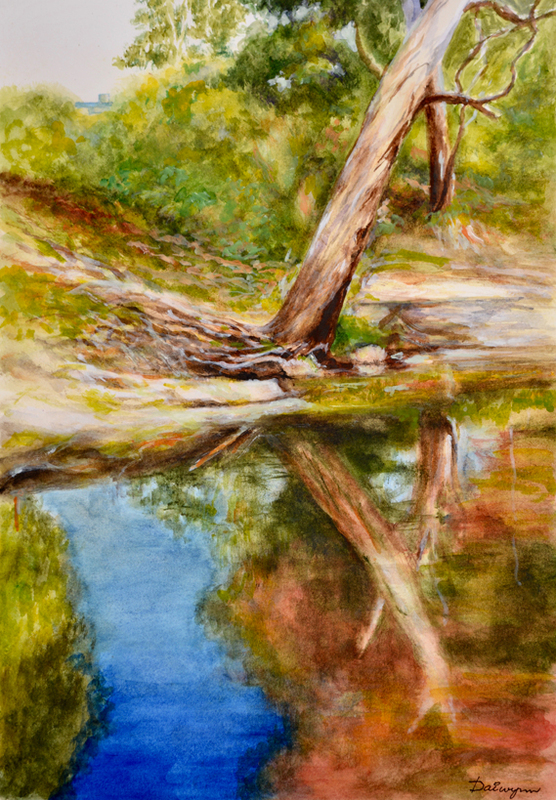 29.5 cm high by 42 cm wide by 0.1 cm deep. A3 standard size.